Lake Lewisville is the most popular lake in north Texas. The lake has many parks, campgrounds, trails, golf courses, and other outdoor activities to choose from. Surrounded by the cities of Lewisville, Little Elm, Coppell, and more there is always plenty to do at Lake Lewisville. Famous for Party Cove, there is a party going on the lake. 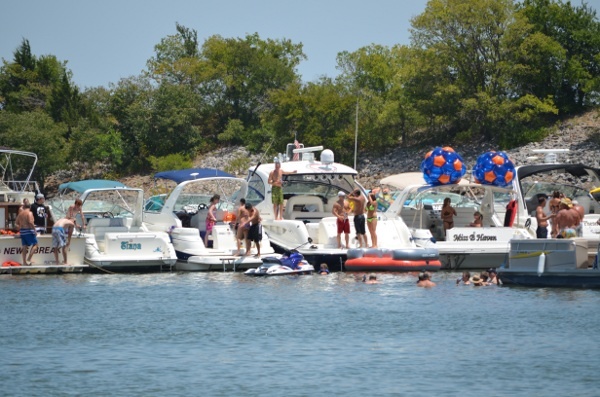 If you enjoy being on a boat and hanging out with other boaters, the party cove is the place to be. Renting a cabin can be an excellent way to get out and enjoy Lake Lewisville. Below are the cabin rentals that we know of on the lake. We don not have any cabin rental listings on Lake Lewisville at this time.